Do you love vermouth? If so, this is the man you want to know, Mauro Vergano. 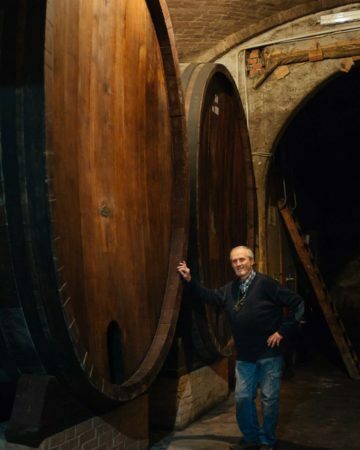 He’s been producing artisanal vermouth and Barolo Chinato wine for years. With a degree in chemistry, he formerly worked for a company focusing on fragrances. 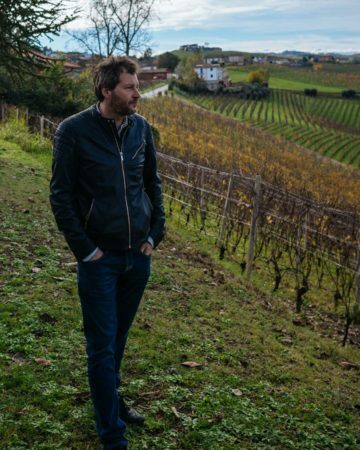 He took the training that he acquired for that position, along with a masters degree in oenology and his uncle’s passion for vermouth, and turned it into a career. He started by making about 100 bottles of Chinato at Christmas for friends and family. Now Mauro makes a full line of red and white vermouth and red and white Chinato. Mauro starts with a cabinet full of herbs to concoct his secret recipes for these very small batch aperitifs. We were lucky enough to get to smell his exquisite herbs before tasting them in his products. Some of the herbs include bitter orange, sweet orange, rhubarb root, and wormwood. According to Mauro, wormwood is required by the EU in order for a product to be considered vermouth. Mauro only uses high quality wine in his vermouth and Chinato. He specifically uses natural wines that have been made with minimum intervention ,and that would be good enough to drink on their own – something that sets his products apart from many commercial producers. 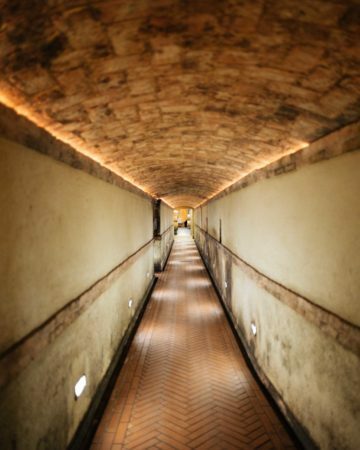 He then creates infusions of the herb blends, which are added to the wine along with sugar to create his signature vermouths. Mauro suggests enjoying his vermouth on its own, over ice with a little soda water, or of course in your favorite Martini or Negroni. The Chinato and Americano are also perfect to settle your stomach after a heavy northern Italian meal. He also suggests sipping on the Chinato with hard aged cheese. We can’t wait to try it! Aside from the quality of Mauro’s products. we also just love him! He spent time later in our trip taking us to his friend’s Torrone Factory (see here). If you’re in Asti, you might just see him zipping along on his scooter. His products can be difficult to find. But it’s worth seeking out! Check for them at Biondivino in 2019. We’re crossing our fingers that they receive an allocation soon!